ANYTHING ANYTHING FREE FORM RADIO HOLIDAY EXTRAVAGANZA! – Rich Russo - The King of Free Form Radio. 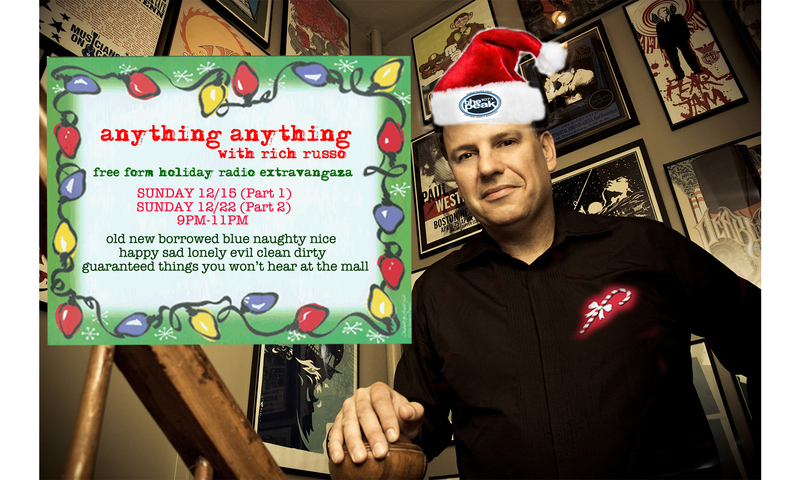 On 12/15 and 12/22 I will be bringing to the airwaves, my annual holiday shows, which feature all sorts of goodies to get you in the holiday spirit, this year being on 4 stations, i will make sure most of shows vary, but will repeat some songs on all shows as there are gems i’d like each audience to hear. it’s going to be fun.